Prepare yourselves, folks. My family came and visited me for a solid week, so we cooked and baked up a storm—so you’ll be inundated with recipes in the next couple weeks. We’ll start with this absolute gem, a flavorful and easy main dish that’s perfect for big groups (provided you make enough of course!). I’ll let you in on a secret…I’ve never liked roast. I find it weird and kind of blah usually. 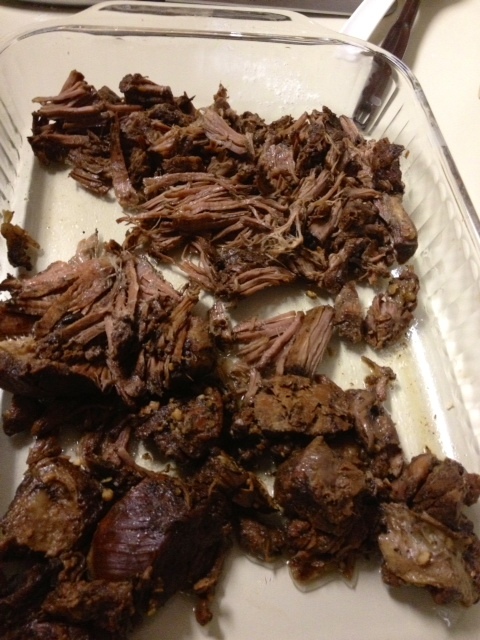 I do like my mom’s beer roast once in a while and I love barbecue beef, but otherwise it’s just not my thing. I’ll make an exception for this balsamic beef, however. 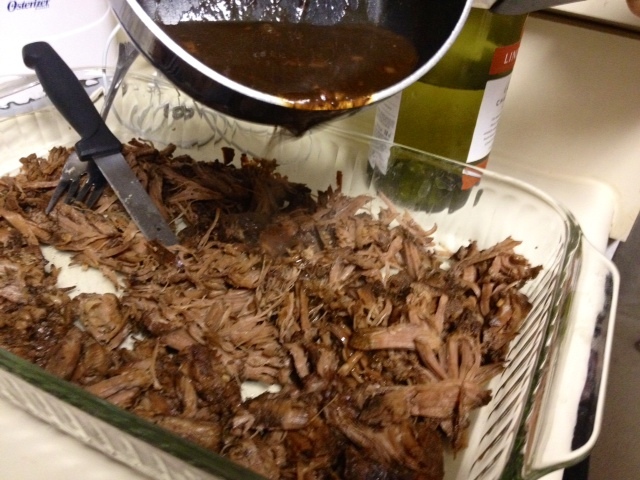 It was moist and chock full o’ flavor, and was way easier than I’d expected. In fact, it was probably the easiest, least time-consuming dish we made all week! 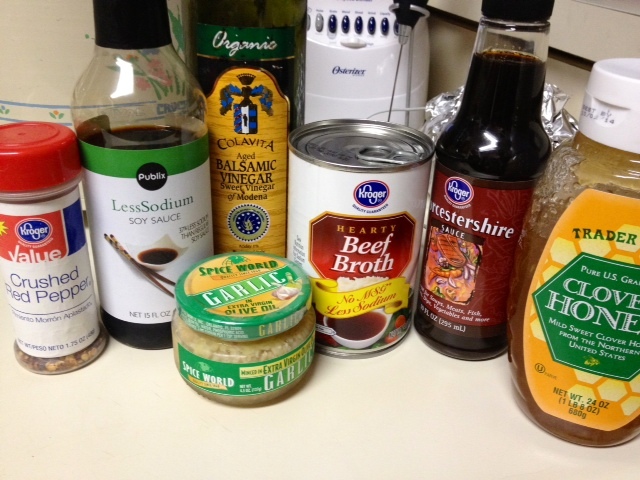 This looks like a weird cast of characters, but the flavor they make combined is amazing! You don’t need to worry about spending tons of time cutting off the fat and bone (unless you’re my mom)—do whatever you feel is necessary, but it will be easier to get off after it’s cooked. 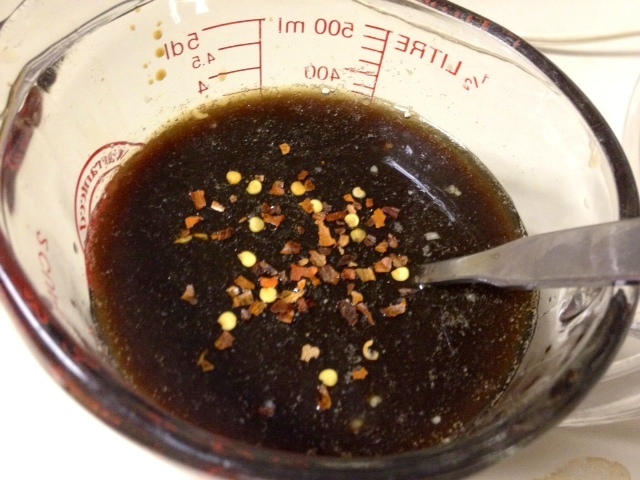 In a 2-cup measuring cup, mix together all the non-meat remaining ingredients together. 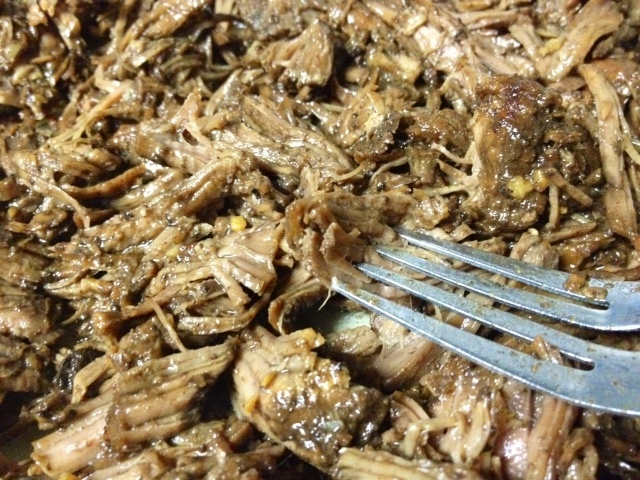 Place the roast into your crockpot. 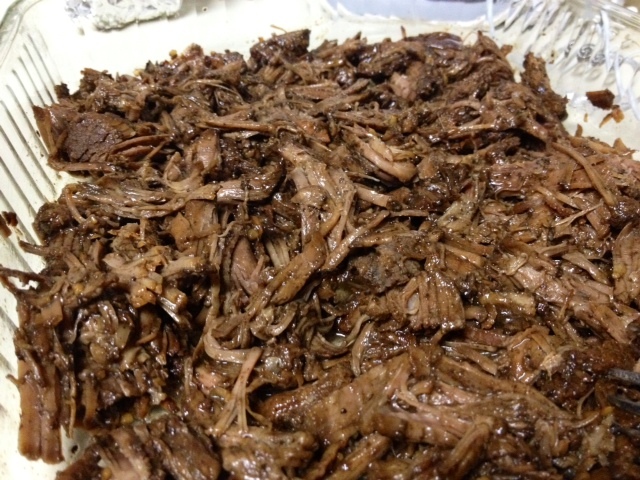 Pour the liquid mixture over the roast and turn the cooker on—4 hours on High or 6-8 hours on Low. However, if you cook it longer, it won’t hurt it. 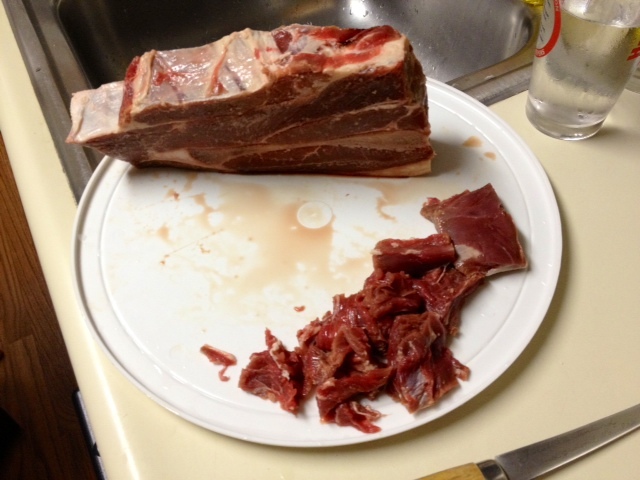 Once beef has cooked, remove from slow cooker with tongs into a serving dish. Break apart lightly with forks. 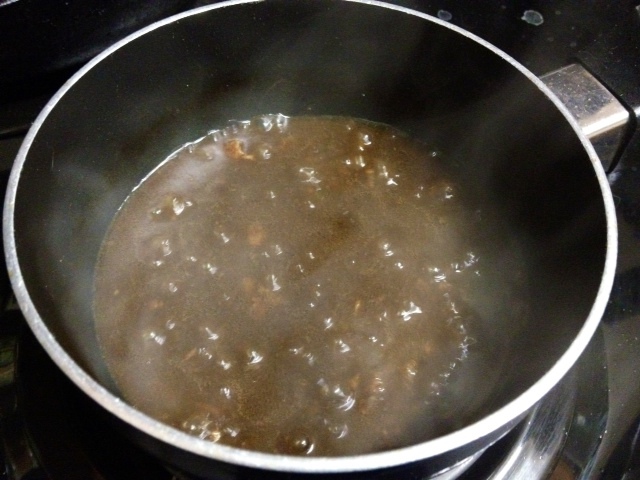 Pour the remaining liquid into a small saucepan. Cook on medium-high until the mixture has reduced—probably 10 minutes or so. Ladle over the roast beef and stir around, then serve immediately. This was so good! We absolutely devoured it, which was sad because we didn’t have any leftovers—and it makes amazing sandwiches! 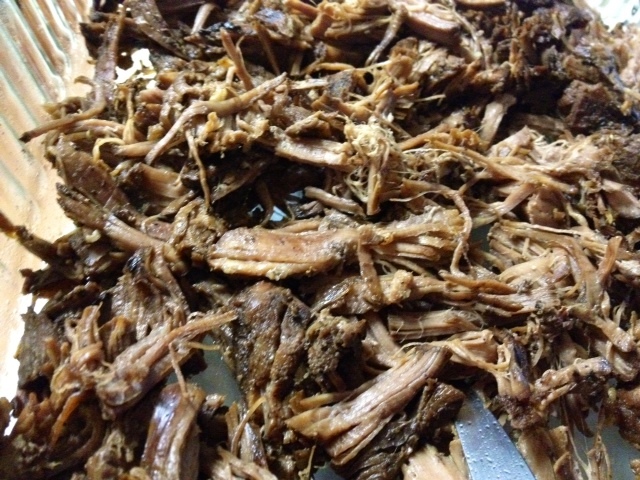 Place the roast into your crockpot. You don’t need to worry about spending tons of time cutting off the fat and bone—do whatever you feel is necessary, but it will be easier to get off after it’s cooked. 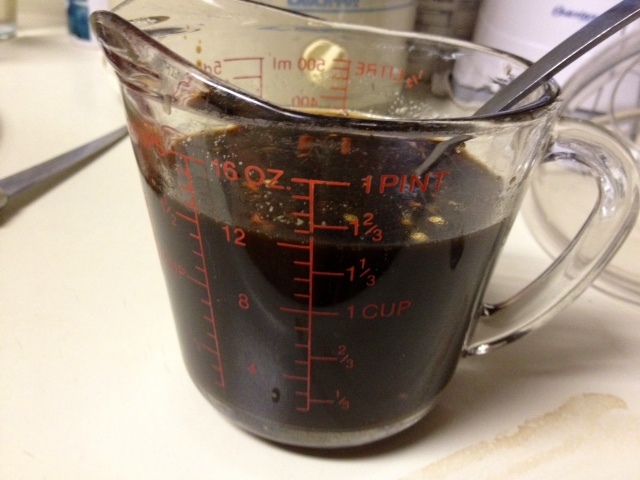 In a 2-cup measuring cup, mix together all remaining ingredients together. Pour over the roast and turn the cooker on—4 hours on High or 6-8 hours on Low. However, if you cook it longer, it won’t hurt it. 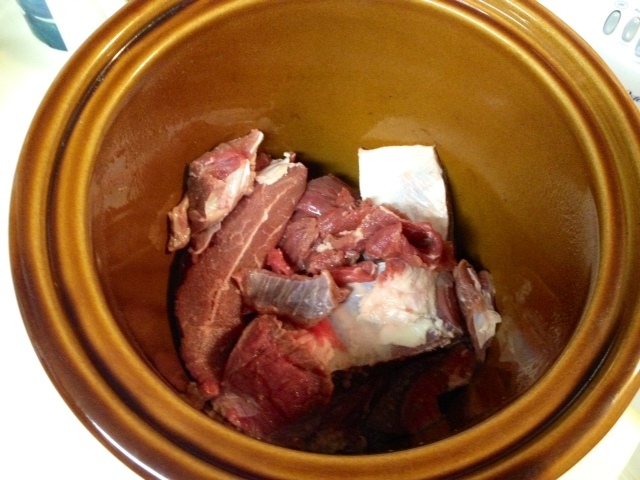 Once beef has cooked, remove from slow cooker with tongs into a serving dish. Break apart lightly with forks and then pour the remaining liquid into a small saucepan. Cook on medium-high until the mixture has reduced—probably 10 minutes or so. Ladle over the roast beef and stir around. Serve immediately. Leftovers make great sandwiches! This sounds amazing…adding it to the meal schedule for next week! It is! Despite my lukewarm feelings on roast, I was totally in love with the flavors and texture of this one. Wish there’d been leftovers for sandwiches!